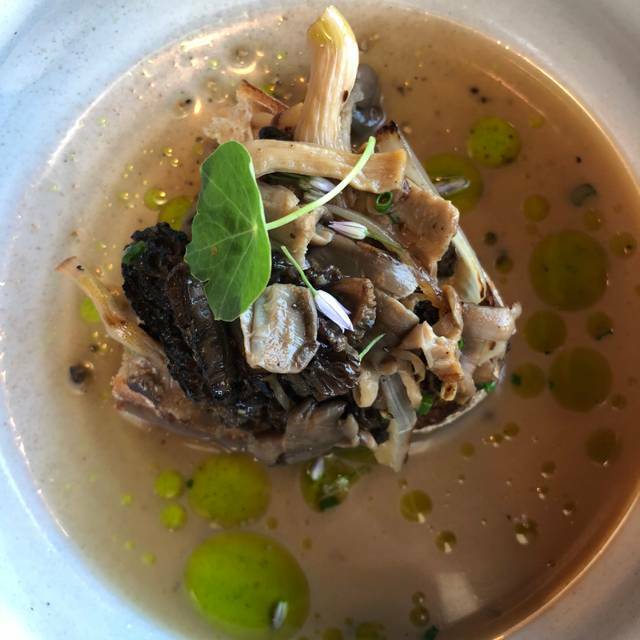 Table X is the collective vision of three chefs, who have come together to present a thoughtful and honest dining experience, all without the fussiness and pretension of a fine dining restaurant. This means a casual dining experience that puts the focus on excellent food and beverage in a vibrant, approachable atmosphere. Table X has a large parking lot connected to the building. Kyle was an excellent and knowledgeable server. Food and drinks were all spot on and the menu is really affordable for the quality. Ambiance, service, staff was all great. Food just fell short for me. Out of the 5 dishes I enjoyed 2 of them. They had interesting concepts but just didn’t hit the mark. 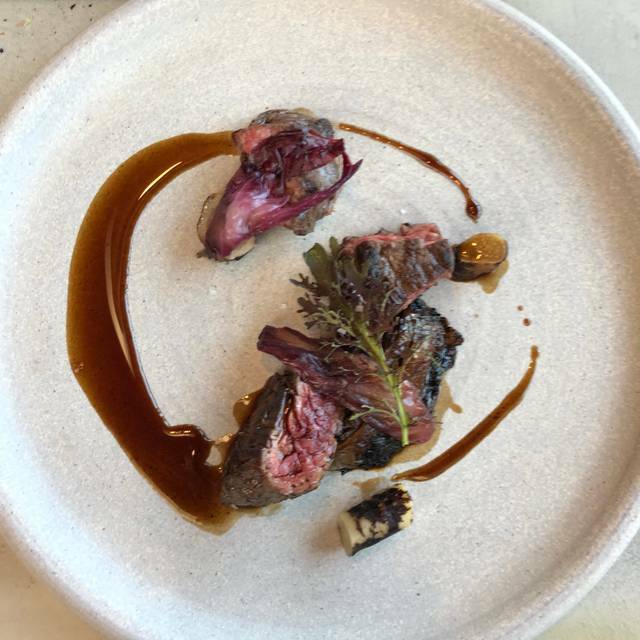 Each dish was always overpowered by bitterness or acidity or just didn’t go together. Wanted to like this place but ultimately didn’t. Amazing as always! We brought some “non-foodies” this time. They were so impressed with the quality of ingredients that they stopped asking what everything was and just enjoyed each bite. Highlights: rice crisp amuse, bread & butter, dry aged beets, house made pork sausage, veg steak, bavette steak, spiced angel food cake, hazelnut ice cream! Modern fare, very creative and perfectly paired dishes. My meal consisted of the burrata, pork sausage, Berkshire pork, and spiced angel food cake, of which the burrata and Berkshire pork absolutely stood out as most sumptuous. You cannot go wrong with anything here. The environment is a modern minimalist, suitable for a casual night out or fancy affair. Highly recommend! THe tasting menu was delicious and it pairs so well with the drinks. It was exciting to see what would come next. The atmosphere was great and the service was phenomenal. The quality of food at Table X is beyond compare. Everything is prepared in a thoughtful and skillful manner. Layer upon layer of flavor is an accurate description of every dish that I have been fortunate enough to experience. The fact that the chefs grow much of their own produce speaks volumes about their dedication to the art of cooking. We always love Open Table. Its our go to when guests are in town, or for special occasions. The portions are small for what you pay but it was delicious. Open like so many restaurants are these days but with nice spacing between the tables so you don't feel like you are having dinner with strangers or someone is listening to every word you say. Looking forward to trying it during the summer months and seeing the garden. Second time eating here. First time it was sadly meh (possibly because it was a birthday dinner and the food options may have been chosen for us - I don't remember), but this time everything - starter (burrata), entree (bass), and dessert (hazelnut ice cream) - was outstanding. With a party of six and everyone had the same positive experience. The food server seemed very nervous and distant. The room temp was too cold but we were near the window. The menu needs more protein and fatty selections as we felt we were in more of a vegetarian restaurant than an omnivore. However, the quality and taste of the food were exceptional. On this basis alone I would recommend Table X. Its fabulous as always. The menu is very creative and innovative. Service is always caring and wonderful. We love going there for dinner. I highly recommend it. It was freezing in the restaurant and the service was extremely slow. Food was good, but my lamb dish was excessively salty. The food was very good, as usual. 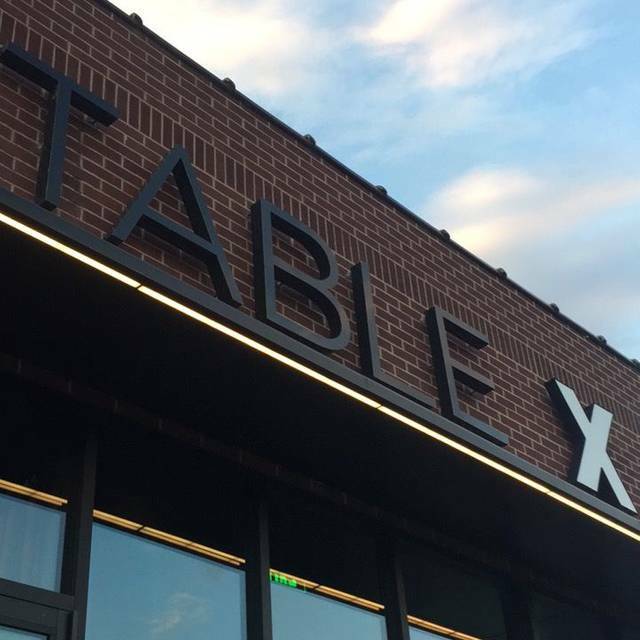 We generally love Table X and had brought two friends and business colleagues to introduce them to it. We had limited time to eat and asked the waiter to ensure we left no later than 6:30pm for a meeting. He assured us it would be fine. Not only did our food not arrive until it was time to leave, he was nowhere to be found as we began to panic. We had to track him and others down to inquire. Poorly handled. Did the tasting menu with the wine pairing. Delicious! Just like every time we come here. Consistently amazing food and wine and excellent service. Came to dinner for my birthday, everything was fantastic as usual. The food was incredible and the presentation impeccable. Our server was professional and very friendly. This is one of my favorite restaurants in town and I’m always excited to see what the next menu change includes. My experience was on Friday and I was so impressed by the food and service I took my mom there for her birthday. The food was great once again but the service was not the best. I don’t think we were checked on once we got our food because she was attending to other parties. Food was wonderful. 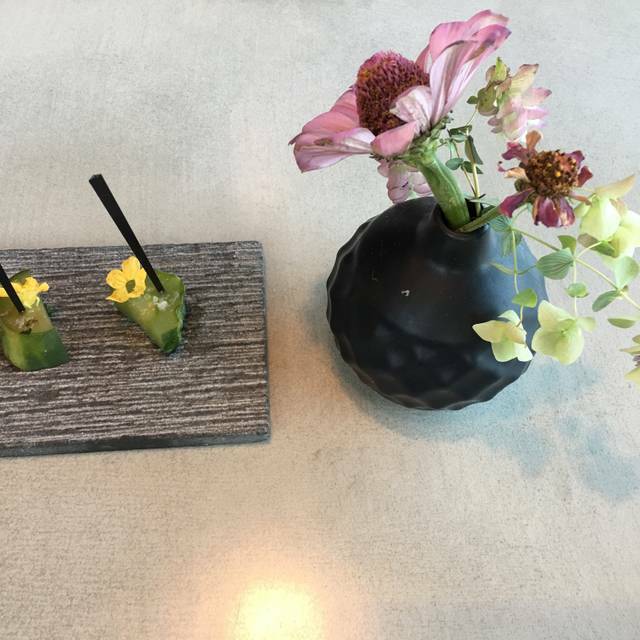 We tried the chef's tasting menu. Generous portions. I will go again. We went here for a birthday and it was surprisingly unique. The food was excellent and the cocktails were on point. I’d definitely recommend if you are looking for a new hot spot. Table X is a gem. The menu is short, but entrees and bread are excellent. (They do their own baking.) Snacks and appetizers do not appeal to our tastes. Desserts are creative and very good. Service is very good. Tables are separated by nice distance which keeps noise low. This is our new "Go To" restaurant when we want the food to be the center of attention (yet still want a good value). Four of us dined recently. Each of us chose something different from the selection of six or eight dishes offered that night. (Two items were vegetarian, and my lentil stew was delicious, although "lentil stew" doesn't begin to do that dish justice.) 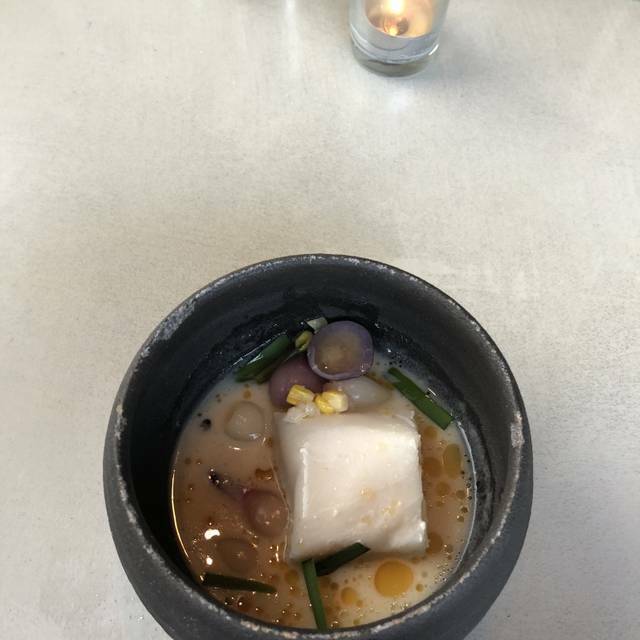 One of our group has severe allergies to onion and garlic, and we were all impressed with the chef's ability to "flavor up" the gnocchi appetizer to suit. 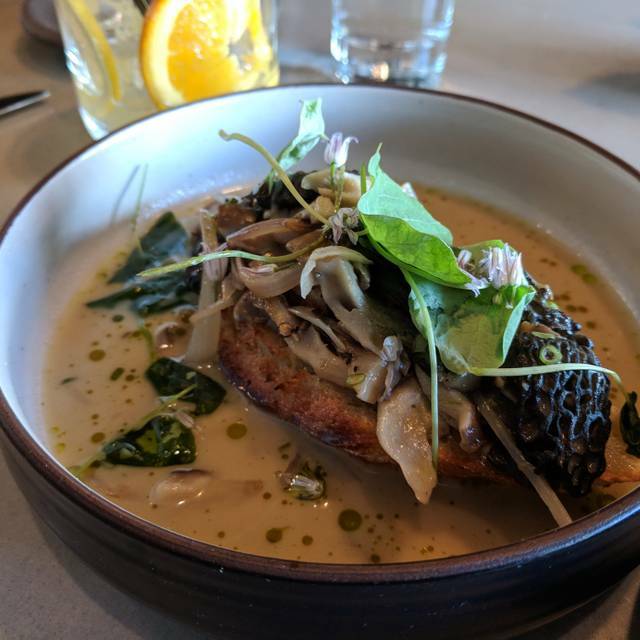 The food is very creative, from appetizer through dessert, and our server was justifiably proud of the creations as she described each in detail. The wine list is also quite limited, yet the selection for each varietal is a good one. We brought our own superb (expensive) pinot noir, and were satisfied with the $15 corkage fee. We went for a friends birthday. We all got the tasting menu with 1 vegetarian tasting. Everything was wonderful. 2 of the ladies are fairly picky and they enjoyed everything they had. Our waiter was amazing also. His name was Jaime, I believe. My favorite was a tie between the soft egg with farro appetizer and the bread. Please sell the bread on its own. It is literally the best bread I’ve ever had. I would buy loaves! Excited to go back! We were searching for someplace new and table X became a good candidate. The striped bass was great but the lamb entrée was tough. Mentioned it to the chef, for possible improvement for our next visit. Overall very satisfying. The table ordered the Tasting menu and it was very good. A great variety, perfect pace of food delivered to the table and presentation was lovely. Service was excellent. The food was the disappointing part of the night; the presentation was great, but the flavor was extremely salty. The pork was delicious in spots, but “gamey?” in others. We had the 5 coarse Chefs Choice with both a wine flight and the Non- Alcoholic pairing. Service was on point, but the food (especially the protein dishes) was under whelming for the cost. Willing to give it another shot to see if it was an off night for the chef. Amazeballs. We had the tasting menu with wine pairings. Was very much enjoyed. Beautiful space and amazing food! Can’t wait to go back! Our favorite SLC restaurant. Brought family from out of town and they loved it! Shared all of the snacks and appetizers. All were wonderful and really appealed to vegetarian in our group. For main courses we enjoyed the lamb, bass, pork and vegetable steak and highly recommend all. Our server Jaime is the best! Very professional, knowledgeable and fun. We look forward to our next Table X experience! The tasting menu was superb but the long wait for a reserved time and lack of knowledge regarding the wine is the only reason this visit did not get a perfect 5. Overall a great experience. Our new go-to place on New Year's Eve. For years, we went to the Forage for this occasion. 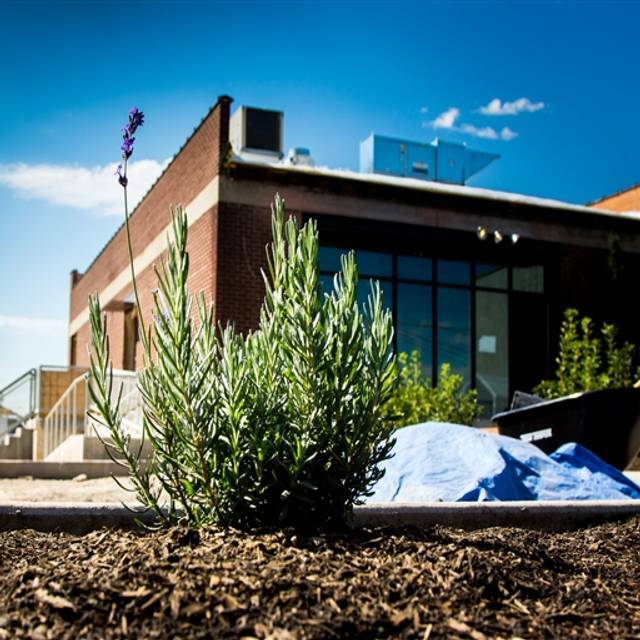 The Forage is now gone but Table-X is a noteworthy replacement. 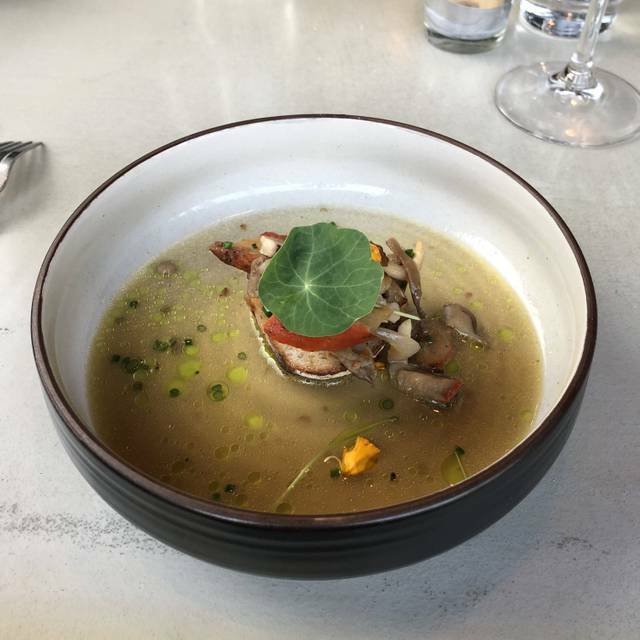 Food and service are both outstanding and for those who appreciate the variety of a tasting menu - this is a must try. The food was amazing. I didn’t expect the food will be that delicious. Definitely recommend to try! 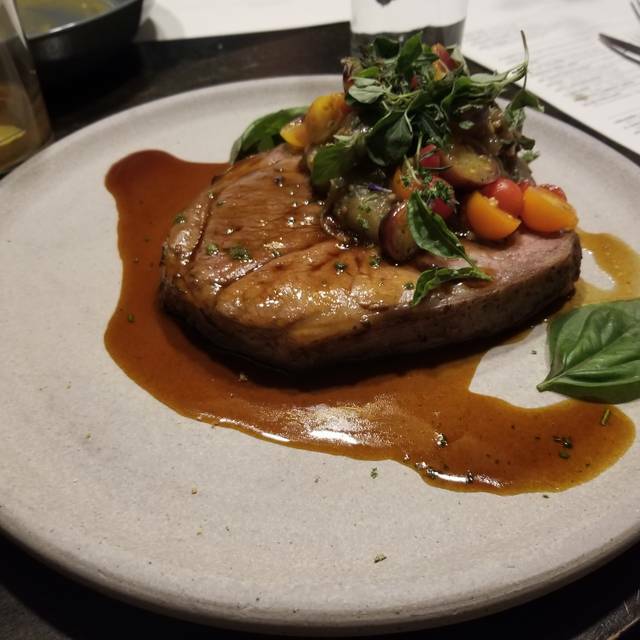 While the menu is short, the food is excellent! Based on my group's experience, it is better to pick a la carte instead of ordering the 5 course menu. Excellent service and food! Jamie did a FANTASTIC job. Some of the best service I’ve received at a restaurant. Took my mom here for her birthday and they treated her like a queen! Completely wonderful experience. Food was flavorful and artistically presented. The open kitchen is fantastic to glimpse how they prepare each dish. The entire atmosphere is comfortable, clean, modern, and fun. Service is responsive, fast, and kind. The chefs were very friendly despite the usual kitchen rush. Great time! Amazing 5 course tasting meal. As always we had a great night!!! !